Benefit: Students get a deeper understanding of development and globalisation processes, the reasons for poverty and possibilities to alleviate poverty. Lecturers spend more time for discussions instead of introducing basics. Courses are more focused and students can choose their own pace of learning. They are better activated through practical tasks, which also improve their technical and collaborative skills. Case studies bring students closer to actual research questions, methodologies and settings. 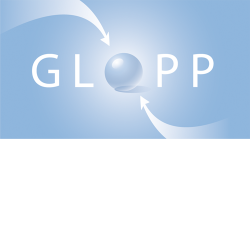 Different lecturers of the Department of Geography (University of Zurich) and the EPFL (LaSUR) have already implemented GLOPP lessons into their courses. CDE (University of Berne) will follow this year. Prerequisites depend on lesson(s). Some lessons introduce to the basics while others deal with more advanced content. 1 ECTS per 6 lessons (totally 18 lessons). About 5 hours work per lesson. · are qualified to appraise instruments of mitigation of poverty, vulnerability and marginality. · develop and assess positive patterns of change that help to mitigate negative patterns. Use of content is free of charge for Swiss educational institutions; fees for administration and support; fees may be applied for foreign and non-educational institutions. May be offered for educational institutions; depending on time and effort some fees may be applied.